Nike’s employees and the company’s own Political Action Committee gave $ 424,000 to Republicans and only $ 122,000 to Democrats this election cycle, according to the nonpartisan Center for Responsive Politics. 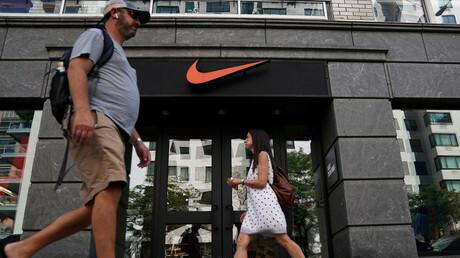 Nike’s contribution to the GOP tops even that of rival brand New Balance, a company whose CEO has been vocal and unapologetic about his support for President Donald Trump. While Nike has donated more to Democrats in previous election cycles, the company has donated almost $ 1.5 million to Republicans over the last eight years, compared to just under $ 1 million to Democrats. While Adidas and Under Armor also make political donations, and favor Democrats, Nike’s spend leaves them in the dust. Senator Orrin Hatch (R-Utah), who has spoken out against gay marriage and urged President Trump to pull out of the Paris climate agreement, received $ 12,300 from Nike this year. Senator Bob Corker (R-Tennessee), another union-bashing, tax-cutting opponent of gay marriage, received $ 5,000.